can anyone help me please..
i'm stuck with this thing for 2 days.. i have try to find answer from one forum to another, and it is give me heavy headache. what i want is that my panel size in my form has a function as print area, in my panel i have one picture box, some txtLabels and some textboxes. 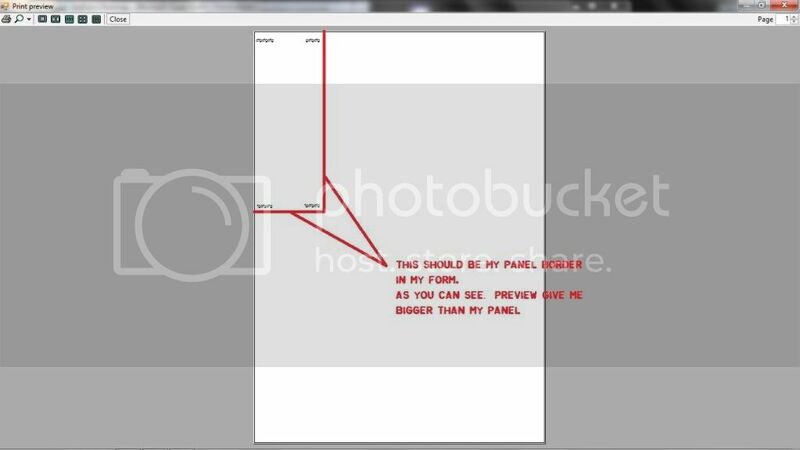 i'll do appreciate if you can help me guys, thanks in advance..
how to make the print window appear using vb.net 2010? Paper size in crystal report.